When it comes to the most sought after varieties of kratom, red vein is the name of the game. As the name suggest, this particular variety has red veins going through the leaves. But more importantly, the red vein kratom is praised for a wide range of medicinal and recreational benefits. Red vein kratom finds advocates in people who struggle with pain, chronic stress, and anxiety – that’s for the medicinal part. As for the recreational use, red vein kratom strains are one of the most potent kratom varieties, with a significant boost of energy and some sedation when used in the evenings and at night. Interestingly, red veins are found in nearly all varieties of kratom, including Borneo, Indo, Thai, and even Malaysian, although it’s not common to observe red veins on the Malaysian variety. Moreover, this vein type of kratom is harvested in a great abundance because it grows more wildly and gives greater yields than both green and white vein kratom. Below we shed light on the most popular red vein kratom strains. 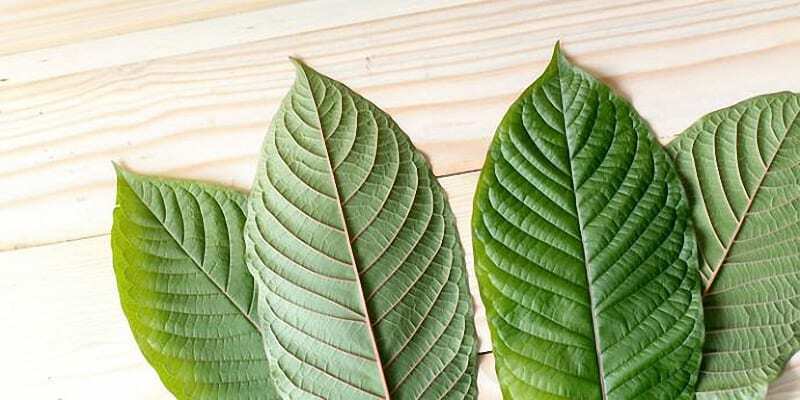 Similar to its green and white vein counterparts, the red vein kratom has different strains, some of which can produce slightly different effects and potency levels than others. Although the general effects of kratom will be pretty much the same, trying various strains will give you an idea of what a more personalized kratom experience looks like. Red Vein Borneo is a common form of kratom that is sourced from the leaves of the Mitragyna Speciosa. 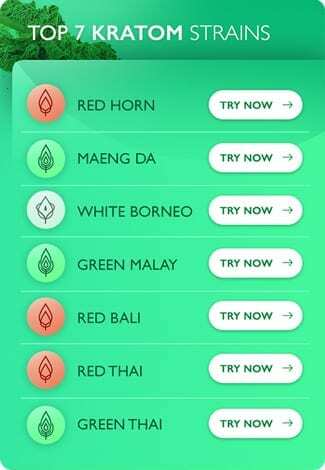 Borneo strains come in three varieties: red, green, and white, of which the red vein strains contain the strongest alkaloid content. Many users prefer the Red Vein Borneo kratom over the other two varieties because it provides them with outstandingly soothing and relaxing benefits. The strain is known for its strong analgesic properties, too. When it comes to the alkaloid content, Red Vein Borneo is rich in 7-Hydroxymitragynine and Mitragynine, both of which are strong natural painkillers. In addition, the strain contains the dopamine mediators, Corynoxine A and Corynoxine B that are responsible for reducing anxiety and improving mood. The Red Vein Bali strain has been found by independent studies and patients’ self reports to relieve pain and provide users with a feeling of euphoria. This particular variety of kratom grows leaves that are larger than average, and the plant also develops very quickly. This, in turn, makes Red Vein Bali inexpensive and easy to find as a typically economical product. The ultimate percentage of alkaloid depends on the region where this variety is grown, so before you decide to buy Red Vein Bali, it is essential to have a good understanding of where each strain derives from. Thus far, there are 25 alkaloids known to exist within the Red Vein Bali kratom, but some researchers argue that this number goes over 30. Like we said, the final alkaloid content will reflect where the plant was grown, but the most prevalent alkaloids in this variety are 7-Hydroxymitragynine Mitragynine, 9-Hydroxycorynantheidine, Mitraphylline, and Speciogynine, all of which are potent analgesic agents. The Maeng Da strain has a unique story to begin with. This particular variety of red vein kratom is believed to originate from Thailand, which was the mecca of Kratom cultivators before it expanded throughout Southeast Asia. Some people claim that Red Maeng Da is bred through the crossing process called “grafting”, which means merging two plants in order to boost their qualities. The Maeng Da strain is considered one of the most potent type of all three leaf types. People use it for brainpower when they are to encounter many tasks during the day and maintain full alertness. On top of that, the effects of this special kind of kratom last much longer, are more intense. The Red Vein Thai kratom strain is derived from Kratom trees that are characterized by reddish midrib and veins. This color of the vein is reflects a unique chemical content in the tree. Contrary to Red Maeng Da, Red Vein Thai has a more relaxing, sedative effects, which may be invaluable for people experiencing various sleep disorders, including insomnia. Since it doesn’t have any stimulating features, it generally works as a relaxing agent. This strain also has a strong analgesic effect, which is probably related to its relaxing properties. This interplay makes Red Vein Thai a good choice for different pains and body aches, so if you need to reduce the suffering and brighten up your mood, you’re good to go with this kratom variety. If you’re looking for a refreshing and smooth treat which comes right from Indonesia, you may consider the Red Vein Sumatra kratom a strong go-to. Although the Sumatra Island has an immense number of kratom trees due to the ideal climate, Red Vein Sumatra is one of the most popular strains grown there. This kratom variety is often compared to opioids in terms of the effects it provides, so it’s mostly utilized for medical purposes. People use it to relieve stress, pain, and insomnia; there are also kratom enthusiasts who pick this strain for meditation. Keep in mind that it’s not the best type of kratom for daytime use. When you try Red Vein Sumatra, you will understand our advice. The strain will most likely keep you couch-locked and not willing to even move your finger. When trying red vein kratom strains for the first time, you may expect sedation, relaxation, and pain relieves. However, not all red varieties are bred equal, so the abundance of each effects will ultimately depend on the particular strain and the region where it’s grown. In fact, some red kratom strains can be much more stimulating than sedating. The effects of red vein kratom are related to its alkaloid content The red variety is high in 7-OH-mitragynine, kratom’s prevailing analgesic agent, one that is also responsible for some of the sedative and relaxing effects on both the brain and the body. The aforementioned effects can be very useful in the late evening and at night, but can interfere during busy daytime hours, especially for those who are particularly sensitive to the sedative properties of the plant. As much as we appreciate the medical benefits of kratom, we can’t deny that it comes with some side effects when abused. Some of these side effects, however, are actually caused by a negative reaction to the medical benefits one would be supposed to experience. Although the short-term side effects are not something you should be particularly afraid of, the long term ones are much more severe. If a person regularly abuses red vein kratom, he or she may suffer from serious withdrawal symptoms because the plant’s chemicals interact with the opioid receptors in the brain. Furthermore, heavy kratom use can cause liver damage, which is why the plant has been banned in many countries. Because red vein kratom is known for its outstanding potency, it should be taken in moderation. The recommended dosage for Red Vein kratom is 4 grams, or less, to achieve the desired effects. If you feel like you need more kratom, feel free to slightly increase the dosage. However, keep in mind that consumption that is over the recommended amount may bring down the aforementioned side effects that can last for as much as 10-12 hours – this is how long Red Vein kratom stays in your system. Overall, the red vein kratom is a potent herbal medicine, which is known for the relaxing and analgesic effects. Actually, it is considered the most tranquilizing variety of the kratom family. In order to achieve the best results, we would recommend you to consume it in small doses, preferably mixed with other, less potent strains. Remember that if you consume kratom at extremely high doses, you might suffer from health problems, so it’s best to keep your intake of Red Vein in moderation. Some Red Vein kratom strains are more energizing than their sedating counterparts, so if you’re up for a trip or want to remain active all day without getting tired, strains like Red Sumatra Vein should do the job just perfectly. What is your favorite strain of the Red Vein kratom plant?